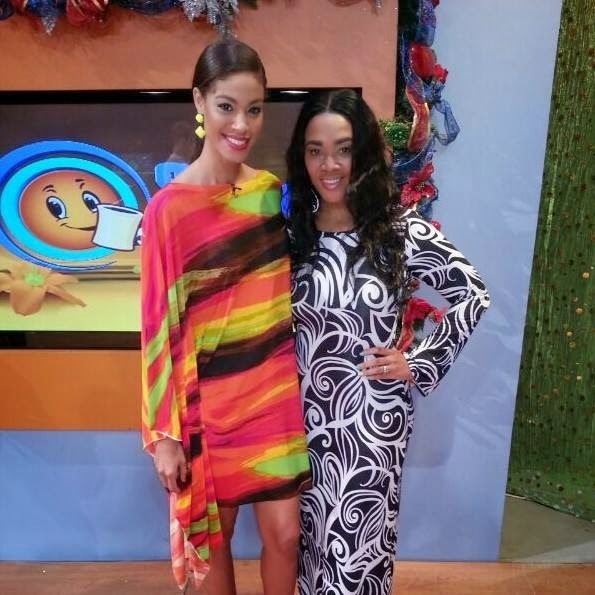 THE ONE ON: The ace designer (right), with stylista Yendi Phillipps, both wearing NeahLis originals on the set of TV J's Smile Jamaica. It’s an ambitious leap forward for the design diva who ranks among the most respected women in the local fashion industry. In almost a decade she’s made a name for herself (and her cool label) with a distinctive style that blends feminine ease with stunning form and function, earning collaborative opportunities with everyone from popular local entertainers like D’Angel to international stunners like America’s Next Top Model’s Tyra Banks and pop-R&B cutie Christina Milian.